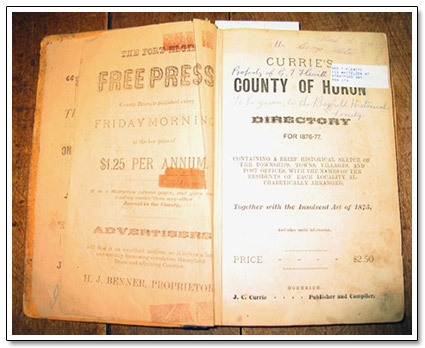 The archives has a vast base of visual and textual resources. 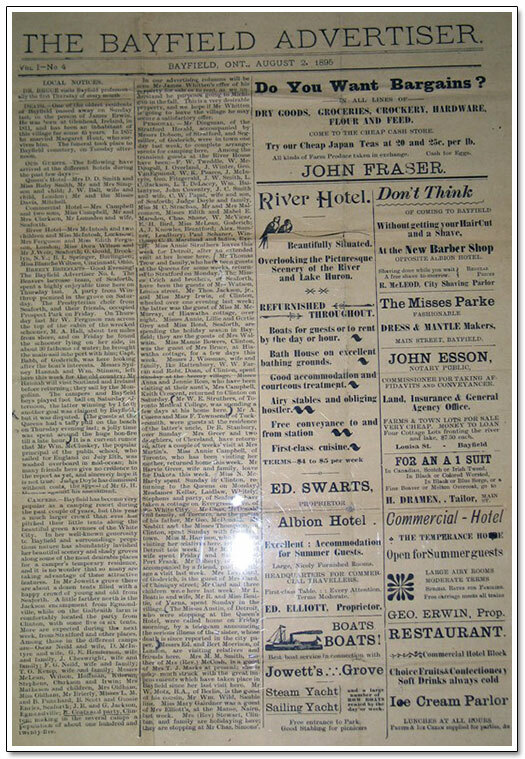 A selection of materials has been included here to give visitors a sense of the scope of the collection. 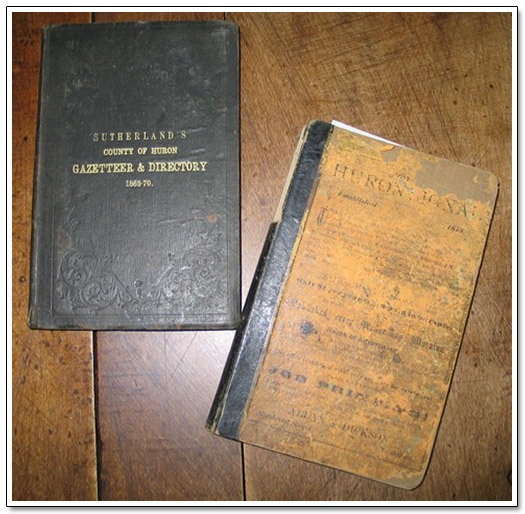 Researchers might also be interested in the archives' collection of Bayfield council minutes (1876-1965), directories, diaries and business journals. 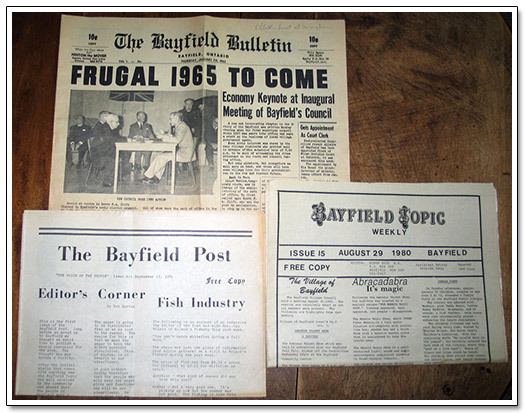 The archives has several Bayfield newspapers such as the Bayfield Post and the Bayfield Advertiser as well as an extensive holding of Bayfield newspaper clippings from the Clinton News Record which are arranged by subject. 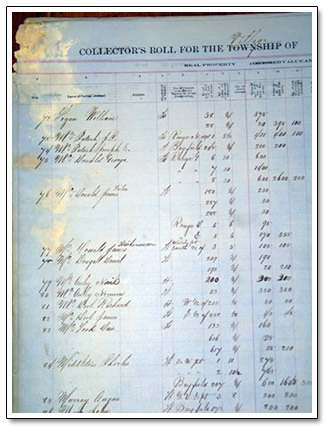 The subject headings include such vital statistics as births, deaths, and marriages. 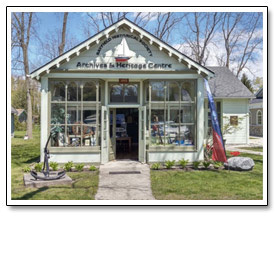 The archives has a small collection of objects that relate to Bayfield's history. These objects include the anchor, the Gemeinhardt desk, and the school bell from the second public school.